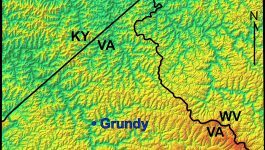 Cumberland Gap, elevation 506 m (1,660′), in the far southwestern corner of Virginia is a wind gap near the geographic triple point* between Virginia, Tennessee, and Kentucky. 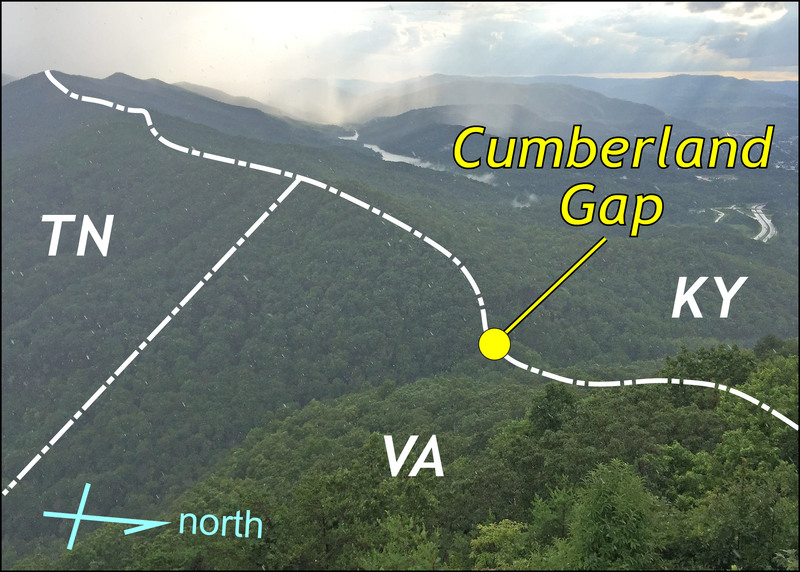 The gap has long been an important crossing point through the Appalachian Mountains, and lies at the western edge of the Valley & Ridge province with the Appalachian Plateau province to the northwest. 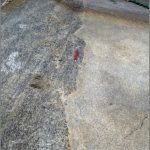 Rocks that underlie the gap are tilted strata of middle to late Paleozoic age. *Virginia has 4 geographic triple points- can you name them?